I’m as guilty as the next person when it comes to being a little bit over the top when clothes shopping – the amount of stuff I have hanging in my wardrobe that still has labels on it is embarrassing. So I started thinking it might be time to have a clear out. I do this quite often although I take unwanted clothes to a charity shop but this time some of the things I once wore are now no longer fit for human…consumption’s the wrong word…they’re no longer fit to be worn or looked at by a human to put it frankly. If you’ve also got a pile of tatty old urban wear or street wear what do you do about all those t-shirts that even a homeless person would probably reject? I know what you’re probably thinking – just throw them away. But no, whilst I’m no hoarder I don’t like throwing things out if I think they might have another mission to fulfill in life. And particularly not if they once lived the life of a designer t-shirt! That’s where recycling comes in. 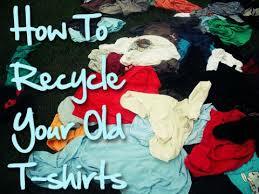 I always recycle cans, bottles, magazines and jars so why not my tee shirts and tops? Feeling inspired I decided to hit up Google to see what it had to offer me in the way of reusing original clothing that was too far gone to be even remotely wearable. Some of the ideas I found were blatantly too much trouble. I’m not motivated enough to find some board and a staple gun (denim covered pinboard) let alone inspired enough to go and buy a sewing machine of all things but I did find a few artistic clothing recycling ideas that involved nothing more tricky than a pair of scissors. This is an obvious place to start but if I missed it out you might have thought I wasn’t doing my job. Cut up old men’s t-shirts and you can make a whole pile of cleaning cloths. 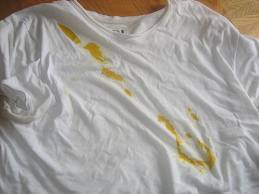 The nice thing about turning tee shirts into dusters or rags is that they’re usually made from soft cotton which makes them good for polishing things with surfaces that scratch easily. Like wide screen TV’s and errr, clocks, and other stuff that I can’t think of right now. Plus you can wash them over and over so they’re more eco-friendly than shop bought cloths that tend to get thrown away after a few uses. 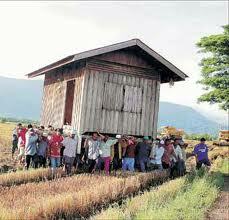 Moving house soon? I just have and if I’d got into this whole ‘let’s recycle my t-shirts’ thing before I moved I would have cut up the ones I no longer wore and used them to pack the boxes that contained breakables. Use old t-shirts to protect things that are easily damaged or stuff them into the corners of boxes to stop things rattling around and getting broken in transit. This one is kind of gross I guess but it’s environmentally friendly and I need more than three easy ideas for this post so I’m including it. Handkerchiefs. Yes, I am suggesting you blow your nose on your old tees. When you have a grotty cold; you can plough through boxes and boxes of tissues or rolls and rolls of toilet paper: expensive and not very green. Well, not green in the environmentally friendly sense of the word anyway. Cut up your old shirts and you have a washable and reusable selection of hankies that your granddad would have been proud of. Going the extra mile and embroidering your initial in the corner is optional. 2) Sew it up along 3 sides so it makes a pouch. Actually, you know what, forget sewing, just use glue. Now you are the proud owner of a face mask bean bag thing that you can lay across your sweaty brow next time you’re suffering due to the events of the night before. So there you have it; four ways to upcycle, recycle, repurpose or reuse all those old, worn out t-shirts that are cluttering up your life – and your closet. I’ve already hacked a couple of old designer t-shirts up to make luxury cleaning cloths (yet to be used) and am even considering making the bean bag in anticipation of my next…headache. Do you have any great recycling ideas that don’t take hours to do and that make your life that little bit easier? Why not share your genius in the comments? Looking for new t-shirts to replace the ones you’ve just massacred in the name of being eco-friendly? 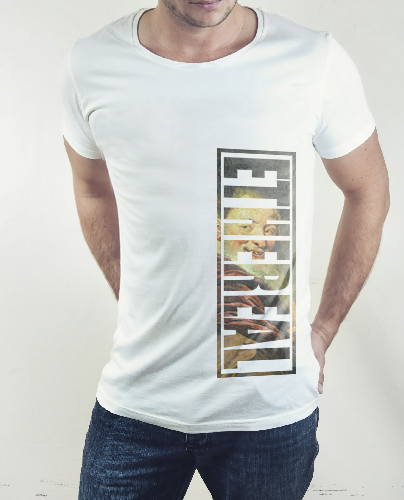 Check out our all new Ethereal Clothing men’st-shirt website here! I have to admit to being quite excited about one of this season’s trends. I can also admit that I was there the first time round, so perhaps I’m looking at this through rose tinted glasses, but grunge is back in a big way in 2013 and I for one am pretty pleased about it. But it’s not just that grunge 2013 reminds me of some of my favourite bands of all time, although of course that’s a big part of it – let’s face it, who would ever get sick of listening to Nirvana – but it’s also the fact that grunge is so easy to wear. These days it seems as if the men’s shows are just as chock full as the women’s when it comes to outfits that look, let’s be honest, really quite silly! I understand that fashion shows are there to inspire and the looks filter down to the high street or shopping mall and become more practical and less crazy versions of the high fashion looks, but with grunge you know that these are going to be easy to adopt street wear looks that aren’t going to have people pointing and laughing at you in public. And if you’re not the sort of guy who likes to be the most showy one in the room, going grunge is the ideal way to show that you know the trends but you’re not a total fashion victim. I don’t think there is anyone who would feel a fool walking down the street in a plaid shirt worn open over a men’s t-shirt. The same can’t quite be said for some of the other looks that the designers were showing for this season: head to toe safari prints anyone? Bright blue suits? ‘Luxury’ sportswear featuring silk bomber jackets? Yeah…didn’t think so! So what should be hanging in your wardrobe if you want to get with the trend before it’s too late? The obvious one is a checked shirt. 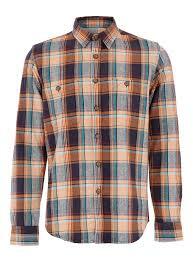 Whether you go for cotton or flannel, the plaid shirt is the basis of your grungy closet. You can button it up but for the ultimate in ‘don’t care chic’ you need to leave it open and wear a printed t-shirts underneath. The grunge urban wear look wouldn’t be complete either without an over-sized hoody streetwear top or, if you really want to pander to your inner Kurt Cobain, a chunky wool cardigan or sweater. Holes optional. Men’s jeans are still at the skinny end of the scale which is fine. Grab your oldest most battered pair and team with classic Converse All Stars or toughen up with worn work wear boots or DM’s. Denim jackets are also in this season and are perfect for adding another layer to the urbanwear look. 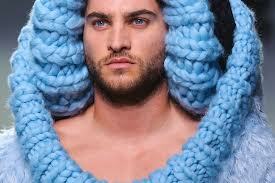 Finally, what about accessorizing? Well as we all know the devil is in the details and if you welcome any opportunity to pile on the accessories, street wear trends provide you with the perfect opportunity. Grab some rope or leather bracelets, invest in chunky silver jewellery and don’t forget your finishing touch – a knitted beanie. Too warm for hats? Rock that unkempt bedhead just woken up look instead by investing in some styling products. 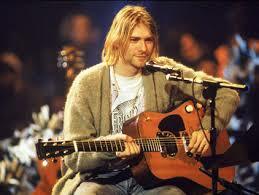 Will you be embracing the grunge trend or do you prefer your men’s fashion to be a little on the smarter side. Let us know what you think in the guest book! Here’s an interesting fact I found the other day whilst wasting time when I should have been working: the t-shirt is 100 year’s old this year. How cool is that? Yes, back in 1913 dudes were rocking men’s t-shirts! Of course the ladies were still restricted to floor length dresses and corsets, but for the guys at least men’s fashion was about to start to evolve into something slightly more causal. So to celebrate this centenary I thought I’d find out a bit more about the history of the t-shirt. Naturally, when the t-shirt first appeared it was nothing like the urban wear that we see on the streets and in magazines or movies today. 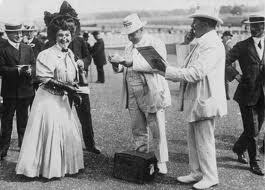 Men’s clothing was still formal and for the upper and middle classes, at least, street wear pretty much just meant wearing a hat and gloves when you left the house. And perhaps carrying a cane if you were terribly dapper. So what did the precursors to today’s designer t-shirts look like when they first originated – and who invented them? It probably won’t come as much of a shock to you to learn that the t-shirt originated in the USA as military under wear; they were issued by the US Navy and were meant to be worn underneath uniforms. Shortly after this the US army followed suit and began issuing the tee to their recruits. 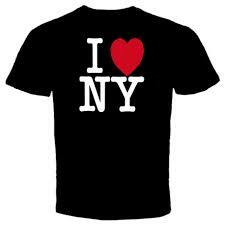 The original design was the classic short sleeved crew neck that is still so popular today. 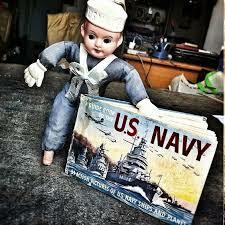 Are you wearing your t-shirt under there, creepy little sailor? The garment began to spread in popularity as manual labourers realized that the tshirt was a practical work wear item that suited their needs too and it didn’t take long for men toiling in the fields, down pits, in factories, on the docks or in other physical situations to appreciate this new short sleeved, light weight cotton style. In fact the t-shirt grew in popularity so quickly that in just seven years it became a recognized word and entered the dictionary in 1920. Although it started life as plain apparel it wasn’t long before printed t-shirts were born and although my research hasn’t located the exact date, it seems the first appearance of a printed tee was in 1942 when a solider clutching a huge gun was featured on the cover of Life magazine wearing a shirt with the words ‘Air Corps Gunnery School, Vegas Nevada’ printed on the front. Soon after this Disney realized that, hey, perhaps printed men’s t-shirts could be ’a thing’ and everyone’s favourite mouse (yes, I’m talking about Mickey) made his first t-shirt. 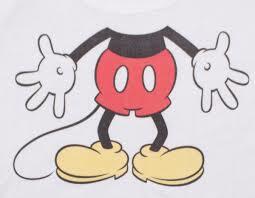 Mickey Mouse: the godfather of street wear? You decide! It took another 31 years but the t-shirt finally made its debut in Hollywood when it graced the rather ripped torso of Marlon Brando in the classic 1951 movie A Streetcar Named Desire. Brando’s stellar performance and combination of brooding good looks and brutal masculinity made him a screen icon – and did wonders for t-shirt sales too as teenagers and young men flocked to their local stores to get in on this latest fashion trend. So I guess in a way we have also Marlon Brando to thank for kick-starting the whole urbanwear thing! 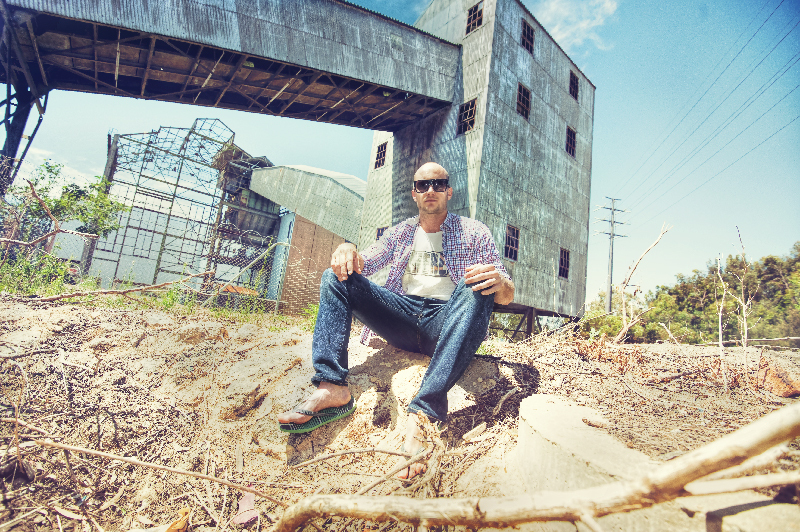 With men’s t-shirts now firmly in the public consciousness, at least in the United States, it became a streetwear wardrobe staple for any hip, young guy that wanted to affect an air of disaffected cool. 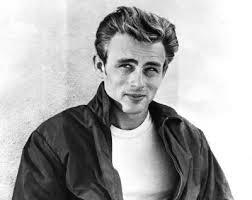 The t-shirt’s rebellious side was given an even bigger boost when James Dean wore a white one under his leather jacket three years later in 1955’s Rebel without a Cause, thus creating one of cinema’s most enduring images and legends in the process. Girls swooned and boys bought t-shirts in their truck loads. The 1960’s and 1970’s saw the rise of the printed tshirt as urbanwear styles erred towards the flared jeans and band t-shirt trend. And for those of us who like vintage fashion we should be eternally grateful for these two decades which filled thrift stores the world over with a plethora of retro tshirts. This period also saw clothing worn to make a statement, with both men and women rocking slogan and political tees protesting against the Vietnam War and other issues of the day. By the 1980’s the t-shirt had forgotten its roots and had gone decidedly upmarket. For which we have Don Johnson in Miami Vice to blame. The disturbing trend of wearing a tshirt underneath a suit jacket – with the sleeves rolled up of course – was huge for a time. Designers were also catching on to the fact that there was money in them there t-shirts and although the tee was still a big hit on the urban wear scene , high end fashion houses began to produce their own versions. What do you mean, you don’t own one of these? What’s your most iconic t-shirt of all time? Do you own a crazy amount of tees or perhaps even none at all. 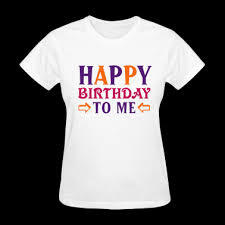 Leave your comments in the box below and help us wish the t-shirt many happy returns. Are you looking for printed t-shirts with a difference? Check out our soon-to-be-launched range of men’s urban wear t-shirts here , and why not follow us on Twitter for more fashion news, views and random Tweets while you’re at it? There often seems to be a lot of blog posts and articles written about “how-to…” regarding dressed up men’s fashion but there seems to be less information (from what I have found anyway) about men’s urban wear and street wear. Perhaps this is because men can just throw on a pair of jeans and a t-shirt and walk out the door ready to face the day, and whilst nobody wants to over-complicate the matter surely there is a little more to it than that?! 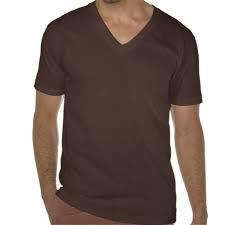 And let’s face it, not all guys are super confident when it comes to getting dressed and there may well be dudes out there who are not sure whether to risk a V-neck t-shirt instead of their usual crew neck, for example, so today I’m going to take a look at crew neck versus V-neck and see what I can discover. A lot of men don’t feel comfortable in tanks, vests, singlets, wife-beaters…whatever you call them in your neck of the woods. And yes, we call them wife-beaters in the UK where I’m from. Nice. But moving on, the tank (let’s go with tank…) can be a little tricky to pull off and feel confident in if you’re not totally happy with your upper body shape. And whilst tanks can be great for the beach or other relaxed scenarios they can be a little under-dressed even for casual restaurants or bars. And nobody likes getting turned away from bars (at least I don’t) so this is why I’m talking about men’s t-shirts right now. I think. So, I seem to have lost the thread there slightly: it was the bar talk that did it, so where were we? Crew neck t-shirt v. V-neck t-shirt: let’s look at a few facts. Generally considered a more fashion forward option, you will probably find that a lot of traditional stores and online clothes shopping sites carry a limited range in comparison to the, some would say, more wearable traditional shaped tee. Whichever side of the urbanwear camp you fall in, as all stylish guys know it’s always good to mix things up a little and unless you are seriously averse to showing that little triangle of chest, dedicated crew neck wearers might be pleasantly surprised to give the V-neck a trial run. 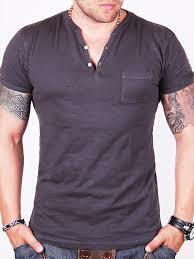 The other thing to remember is that V-necks can be high cut or deep cut so you can always ease yourself into this street wear trend by keeping it fairly modest at first. Other than that, play around, have fun and you may well find that you’ve added a whole new urban wear element to your wardrobe. What shape or cut of t-shirt do you like best? Know what suits you best or are you looking for a change? Let us know in the guest book and if you’re looking for a distinct take on designer t-shirts why not head over to our website for original clothing and streetwear t-shirts with a difference. 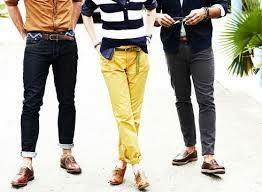 Guys, are you guilty of wearing the same old boring outfit day in day out? 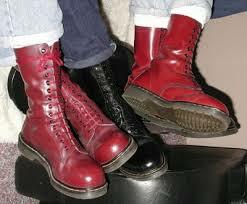 The same colours, the same styles? If you have a sneaking suspicion that you could and should be upping your game a few notches and there’s room for some improvement read on as we have some tips on how you can add a splash of colour to an outfit without spending a fortune. Yes, there’s really no need to fork out for new men’s t-shirts, jeans or even suits; with a few well-placed hints of colour you can be owning the street! Or at least your house. Something like that. It’s probably fair to say that many men are stuck in a bit of a colour rut and don’t like to step outside their colour comfort zone so if this sounds a lot like you, but you don’t want to do the full on colour blocking or brightly hued skinny jean trend, you can still add an accent of colour without feeling like you’re a full on fashion victim/clown. 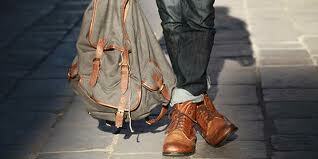 So let’s take a look at a few ways men’s fashion can get fun – in a subtle way. Pocket squares: these are all over the media at the moment and definitely seem to be having a moment. And you don’t need to be over 75 years’ of age or going to a wedding to wear one. If you spend your Monday to Friday from 9am to 5pm in a drab suit a pocket square is the ideal way of adding a dash of panache. You know as Huey Lewis once sang; ‘It’s Hip to be Square’. Actually, I don’t know why I just wrote that – it doesn’t make me look good. Let’s move swiftly on to men’s ties. Bit of an obvious one perhaps but your tie is just screaming to be given a colourful make-over. So ditch that boring sky blue-navy blue striped affair and brighten up with something in red, orange, green or even hot pink. Just avoid ones with cartoon characters on. Please. Shoe laces. OK bear with me here but whilst you may have thought of changing the laces in your trainers/sneakers have you ever given a thought to changing them in your formal or work shoes too? This look will work best with a smart pair of brogues – if they’re anything less than tip top condition you’re not really going to be able to pull it off, but nice shiny brown leather + bright red, orange or yellow laces will look pretty rocking. Just keep the laces thin – fat sneaker style laces will make you look…I don’t know what they’ll make you look like but they won’t work, trust me on that. Cufflinks are another great way of adding a hint of a hue. 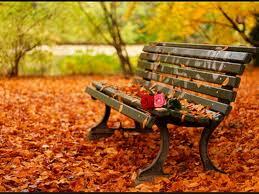 Ditch your usual silver ones and search out something a little more interesting and colourful instead. No list of how to add colour via your accessories would be complete without mentioning socks. I’m not talking about the garishly-coloured pair that Aunty Mable bought you for Christmas (for the sixth year running) but a pair of stylish, plain, striped or even spotted pair that will just add a flash of colour under the cuffs of your trousers. So far so good but all of these are things that work with a suit or smarter trousers and if you don’t wear suits on a regular basis and yet you still want to up the ante on your casual gear, how do you do it? The simplest way is to ditch that plain white t-shirt and grab something in a bold statement colour. Men’s tees don’t have to be navy, burgundy or white so why not take the plunge and buy men’s t-shirts in sizzling orange, zesty yellow, hot pink or bright red? Your footwear is another way of brightening up an outfit and if you’re not quite ready to slip in to a bubblegum pink t-shirt surely you’ll be big and brave enough to attempt a colourful trainer! Whether you’re a sporty Adidas or Nike kind of guy or skater style Vans and Converse are your thing, sneaker brands are not shy in putting their best foot forward when it comes to creating some eye-catching designs. Finally, a bag is always a good way of adding a little interest. Ditch that boring black or navy backpack you got free with your gym membership and style it up with an acid bright holdall or messenger bag instead –they were seen all over the recent men’s fashion shows. However you add a little colour to your outfit it’s a great way of showing that you’ve thought about what you’ve put on that morning. 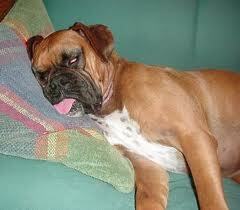 Or afternoon or whenever it is you roll out of bed. What do you think? What are your favourite ways of making a unique style statement? Let us know here or come on over to our Facebook page and share it on our wall for all and sundry to see! Anyone with even a passing interest in men’s fashion should have by now realized that colour blocking and bright colours are a big trend this Spring and Summer for both men and women, however some of us are not quite ready to hit the streets in bright purple skinny jeans teamed with a bright orange t-shirt and sky blue trainers, so what’s a guy who wants to stand out in the crowd in a slightly more subtle way to do? Men’s style can be a tricky thing to get right when it comes to the fine line between looking good and being fashion aware and falling into the abyss of ridiculousness, but it doesn’t have to be this way. Take plaid for example; a plaid men’s shirt worn over a white t-shirt is a look that says ‘I’ve thought about this – but I’m not trying to frighten small children with my fashion choices’. Let’s check out (bad pun intended) a few ways to make plaid work for you. First of all try and keep the rest of your outfit simple; crisp white men’s t-shirts look great when worn under any colour combination of checked shirt, or you could try a coloured tee under a more subtle plaid. The weather and season will also play a part in which shirt you choose: flannel is thicker and works better when the weather is cold whilst cotton naturally is better for the warmer months. Depending on the fabric and season, you can play around with styling too. Try wearing your work-style black and red or blue and green flannel shirt over a white men’s tee and twin with dark denim jeans and work boots. If it’s warmer and you’re wearing a cotton short sleeve shirt why not wear it open over a t-shirt and team it with smart city shorts (which are going to be huge for guys this summer). A pair of boat or deck shoes will complete the look – you can even give a nod to the colour pop trend with your footwear if you like. 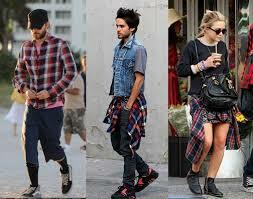 Plaid shirts are not the only way to wear the trend. Why not turn it on its head and instead wear a pair of plaid shorts with a basic t-shirt in any colour instead? Or if you feel that’s too much and you’re the kind of guy who doesn’t like to part with his jeans, there are loads of great, summery checkered sports shoes around at the moment – from Nike hi-tops to canvas Converse All Stars. You can even take the trend into the workplace if you feel that your work clothes are lacking a little in the men’s trends department. A checkered tie worn with a plain white shirt is a great way to show that you’ve made an effort – even if your plan for the day is to basically read the news online and watch Youtube videos! So why not check plaid out (again with the bad puns…) and see what looks you can create without having to go overboard with the colour blocking trend. There are loads of options out there at the moment and for a unique take on men’s urban wear check out our website for some clever t-shirt designs to wear under your shirt.